The Hilton Garden Inn is a new Fort Walton Beach hotel located directly on the beach facing the Gulf of Mexico on beautiful Okaloosa Island in Fort Walton Beach, Florida.The open and airy lobby brings the feel of the outdoors inside, celebrating everything that’s great about being at the beach. Bright colors, stunning lighting displays, and diverse seating options provide rich opportunities for social interaction. 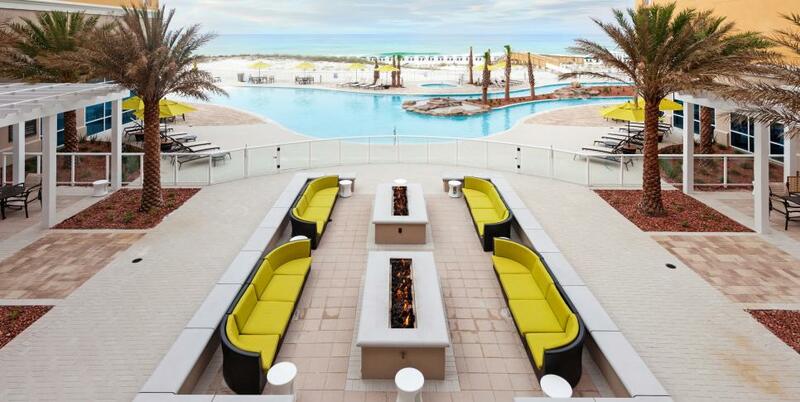 Head outdoors to the enclosed courtyard to enjoy conversation and cocktails around the fire pits on our large pool deck overlooking the Gulf of Mexico. Or book chair rentals and soak up the sun on our sandy beach. This isn’t your typical hotel. A completely custom design embraces the nature of the Gulf Coast, bringing the outdoors in and surrounding you in beauty whether you’re in a boardroom or on a surfboard. A large 5,000 square foot banquet room with Gulf views offers a new option for meetings and events on Okaloosa Island in Fort Walton Beach. 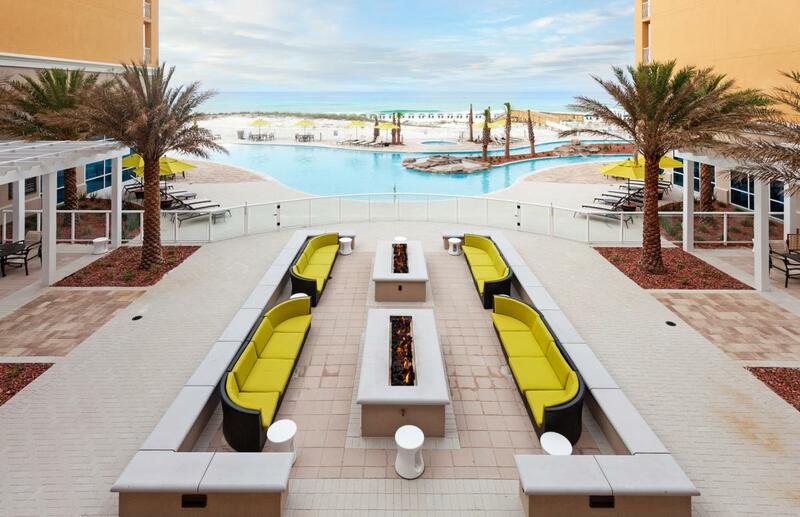 The new 178-room Hilton Garden Inn hotel features: Beachfront pool, lazy river Outdoor courtyard Full-Service restaurant serving breakfast, lunch and dinner Gulf view rooms with private balconies Beachfront Tiki Bar Pool view fitness room Indoor and Outdoor Bars Two large outdoor Fire Pits Free parking Family friendly suites with bunk beds 5,000 Sq. Ft. Conference Center Fort Walton Beach, Okaloosa Island and the surrounding communities are home to exquisite scenery, lively nightlife, rich cultural heritage and culinary wonders. You can enjoy a broad range of activities, from world-class golfing and fishing to shopping, swimming, and water sports.